The USPTO is seeking applications for the position of Deputy Chief Administrative Trademark Judge at the Trademark Trial and Appeal Board. The announcement is open until September 28, 2018. Further details may be found at the USA Jobs website, here. The Office of Human Resources strongly encourages applicants applying for positions to read the vacancy announcement in its entirety before submitting application materials for this position. If you have any questions or concerns about the application procedure or processes, please contact the individual listed under 'Contact Information.' Failure to follow instructions in the announcement will result in your application not receiving consideration. The Deputy Chief ATJ will serve as part of the Trademark Trial and Appeal Board along with the Under Secretary and Director, Deputy Director, Chief ATJ, Commissioners of Patents and Trademarks, along with Administrative Trademark Judges. Any three of the previously listed employees can comprise a legal panel of the Board to render a decision in a trademark appeal or an opposition, cancellation, concurrent use or interference proceeding. Working with the CATJ to develop and deploy the strategic and policy initiatives of the Board, as needs may be identified by the Board or as strategic initiatives may be required by the Office of the Under Secretary and Director of the USPTO, to which the Board reports. 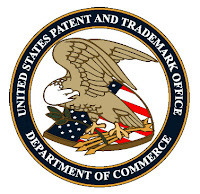 Developing and implementing the USPTO’s rules of practice governing trademark appeals and trademark opposition, cancellation, and concurrent use proceedings. Developing and implementing the Standard Operating Procedures necessary for the internal operation of the Board. Furthermore, the CATJ is responsible, by delegation, for adjudicating certain petitions to the Director of the USPTO; which responsibility may be further delegated to and shared with the Deputy CATJ, Board Senior Level attorney, or individual ATJs. Serving under the administrative direction of the CATJ who reports to the Office of the Under Secretary and Director of the USPTO. The Deputy CATJ is also responsible for the comprehensive executive management, strategic planning, policy development, and financial functions essential to effective Board operations. Assigning panels of administrative trademark judges to adjudicate all trademark appeals and trademark opposition, cancellation, concurrent use and interference proceedings and periodically serves on such panels. The CATJ and Deputy CATJ also develop and maintain quality, timeliness, and productivity performance standards for the administrative trademark judges, attorneys and support staff. 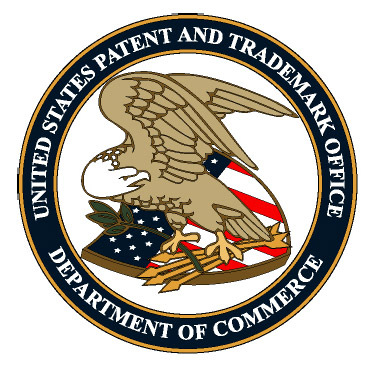 The Deputy CATJ serves as the Acting Chief Administrative Trademark Judge during the absence of the CATJ and serves on a variety of USPTO's enterprise-level committees. Interacting with the legal community, including the Court of Appeals for the Federal Circuit, bar associations, etc. ; actively participates in public conferences and meetings; and makes presentations to foreign dignitaries or officials regarding the Board and its operations. Occasional travel - There may be occasional travel.